Jonny Brownlee will be making the trip to Singapore as the sole male Great Britain representative. The 28-year-old currently lies fourth in the overall Super League Triathlon standings and will be hoping for a successful weekend in Asia to claim an overall podium place. 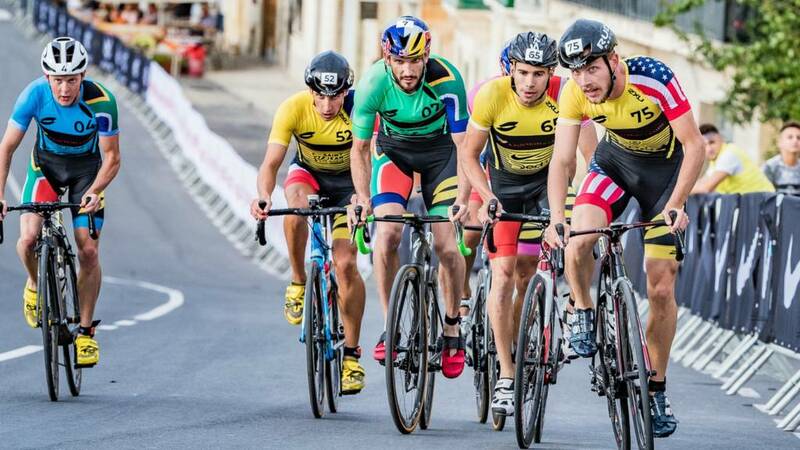 The top five in the overall male standings will all be competing over the weekend and will be hoping to end the season on a high before the Elite Series Triathlon starts in March. American Katie Zaferes, who takes a massive 27-point lead in to the race, is expected to tie up the 2018/19 Super League Triathlon crown this weekend. Lucy Hall will be competing as the sole GB athlete. Jonny Brownlee says he has prepared well for the heat and humidity of Singapore by training for more than a week in Thailand ahead of the Super League Triathlon season decider. "I’ve been out in Phuket for 10-11 days getting used to the heat, which I think is going to be a big factor on Sunday in the Enduro format," he said. "Hopefully I’ve prepared for that as well as anyone else." Brownlee described last season as "my worst year in a long time" because of the numerous injury problems he suffered. "Last year I was definitely not at my best," he said. "I was never on the start line looking forward to racing – I was always worried about something. "You get your confidence from your training. For the first time in longer than 12 months I’ve been able to do that." Double points being on offer means Brownlee is one of the athletes that can still edge out runaway leader Vincent Luis. "Vincent's been really impressive so far – this Super League format really suits him," said Brownlee, currently in fourth place. "But for the first time in a long time I’ve got some decent training in – I’ve been healthy and hopefully that will help bridge the gap." World Triathlon Series Champion Vicky Holland discusses the Super League Triathlon format with BBC's Louise Minchin ahead of Saturday's eliminator races in Singapore. What is the eliminator race? The Eliminator tests the resilience, stamina and velocity of the athletes in a pressure-cooker format where field position proves key over timing. Athletes must finish high enough to not be eliminated whilst managing their effort against fatigue. Three stages of traditional swim-bike-run whereby athletes need to hold their ground and watch their backs in each stage to be eventually crowned as the most tenacious and tough athlete on the Super League Circuit. How can I watch Super League Triathlon?